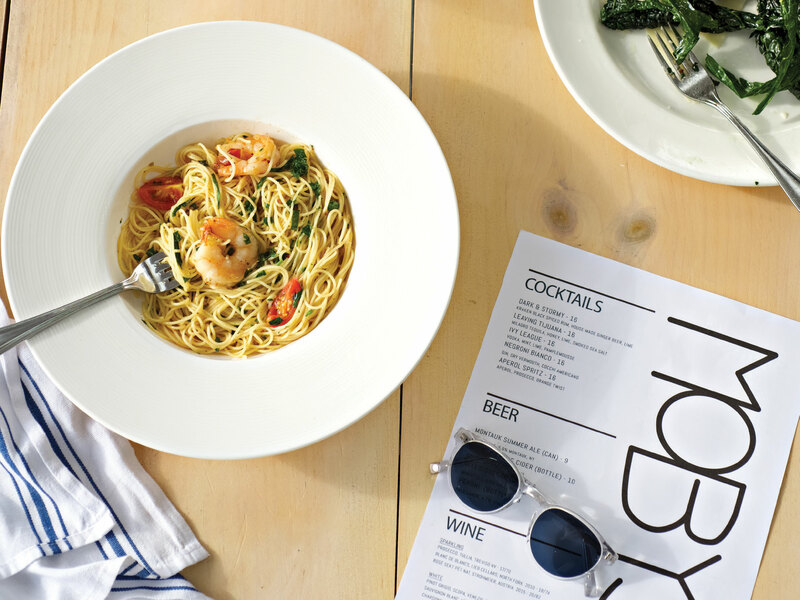 Moby's finds a new home at East Hampton Point. Named after Herman Melville’s resilient tale of life at sea, Moby’s—the fresh-catch and casual pizza spot by restaurateurs Lincoln Pilcher and Nick Hatsatouris—has resurfaced at East Hampton Point, this time with a multiyear lease that ensures the pair won’t have to move that hefty New Jersey-made pizza oven anytime soon. Inspired by his godfather’s seaside pizza shack in Positano, Italy, Pilcher and his team have mastered the recipe for easy sophistication by creating spaces that draw inspiration from their environment. “This property feels like home,” says Pilcher of the new digs at East Hampton Point, which feature the legendary 18-foot boat Jade at its epicenter and offer plenty of outdoor space along with boat slip access at Shagwong Marina. 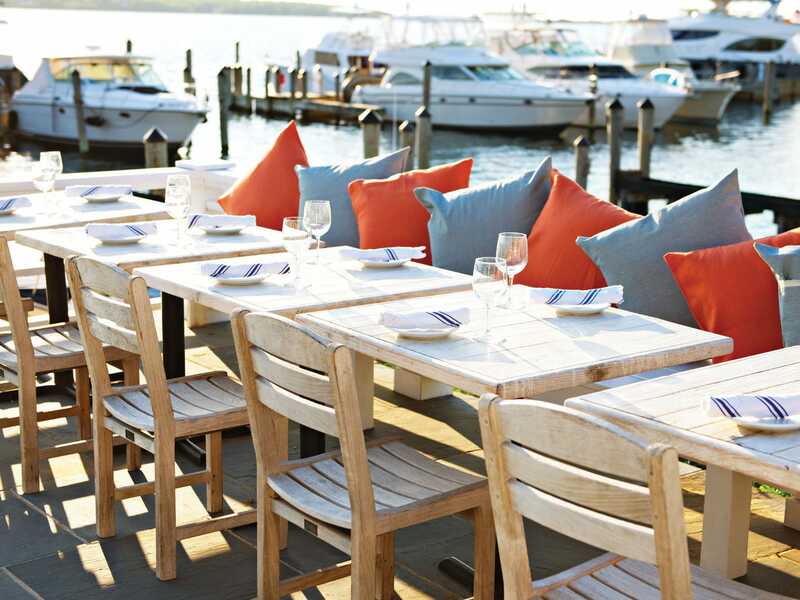 Understated nautical touches such as midcentury wicker chairs and sisal carpet create the backdrop for a curated menu that relies on local purveyors while still paying homage to Pilcher’s Italian seaside memories. Food highlights include the beautifully charred Margherita pizza with house-stretched mozzarella and spaghettini with shrimp and Sun Gold tomatoes. The beverage program is simple yet focused, with the return of perennial favorite Leaving Tijuana (Volcan tequila, honey, lime and sea salt) and an exclusive French-style rosé on tap developed in partnership with Gotham Project.